To accommodate batches of Sakya nuns arriving in India in the early 1990s, Sakya Rinchen Choling was established in Dekyiling, Rajpur, India, on a piece of land offered (in 1996) by His Eminence Luding Khenchen Rinpoche. 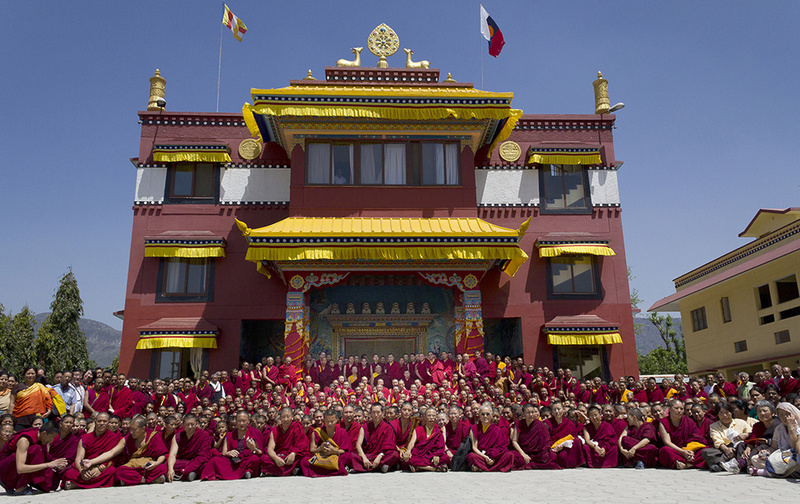 The nunnery was formally established in 1998, and the temple was completed and consecrated by His Holiness the 41st Sakya Trizin on 29th March 2009. Sakya Rinchen Choling now has two other branches under its administration, namely, Sakya Thrinley Choling, nunnery for young nuns in Leh-Ladakh, India and Vajrayogini Meditation Centre for nuns in Kathmandu, Nepal. For further information, please contact the administrator for Sakya Rinchen Choling, Ani Sangay, via email: (sakyanunnery_office at yahoo dot com).